Christian “The Warrior” Lee promised a first-round finish in his rematch against Edward “The Ferocious” Kelly, and that is exactly what the 20-year-old phenom delivered. 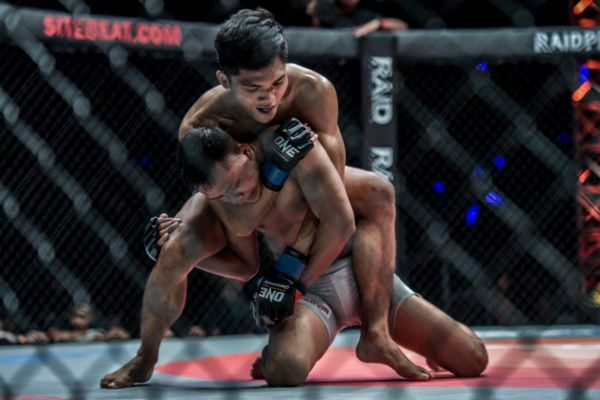 After a controversial loss to the Team Lakay featherweight in September, the two finally settled their unfinished business at ONE: ETERNAL GLORY on Saturday, 19 January. 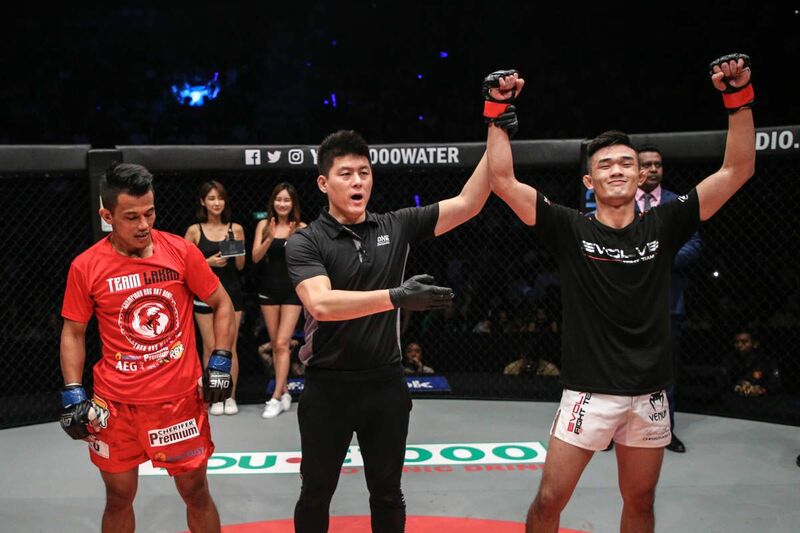 In front of a capacity crowd at the Istora Senayan in Jakarta, Indonesia, Lee defeated the Filipino via TKO in the latest chapter of the Evolve-Team Lakay rivalry. Once the opening bell rang, Lee took the center of the cage and put the pressure on Kelly. “The Warrior” eventually worked his way inside before grabbing onto his signature “Terminator Guillotine” choke and then falling to the mat in an attempt to lock up the submission. Kelly immediately scrambled to break free of the choke, but he put himself in a bad position, as he found himself on his back with Lee mounted on top of him. 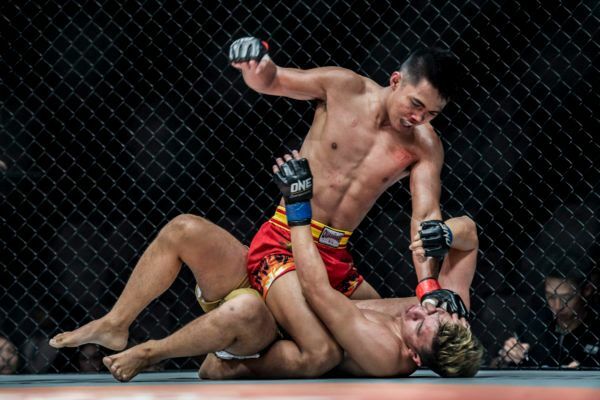 From there, the Evolve representative maintained top control and hammered away at his Baguio City adversary with a series of rapid-fire elbows. “The Ferocious” tried desperately to hold on to the Singaporean and work his way free from the mount, but he was unable to improve his position. Lee was relentless with his ground and pound attack, but soon he postured up to rain down hard punches instead of elbows. The devastating blows slipped through Kelly’s defense and landed cleanly. Referee Kemp Cheng had seen enough and stopped the contest at 2:53 of round one. 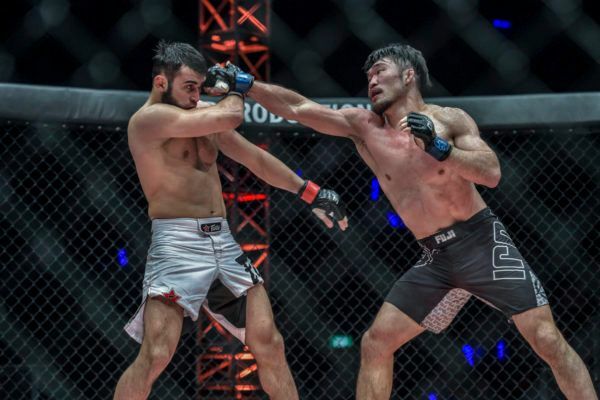 “The Warrior” not only avenged his loss, but he managed to set a new record for the most finishes in ONE Championship history at 11. In addition to that, he tied Kevin Belingon, Eduard Folayang, and Amir Khan’s record for most victories in The Home Of Martial Arts (also at 11). 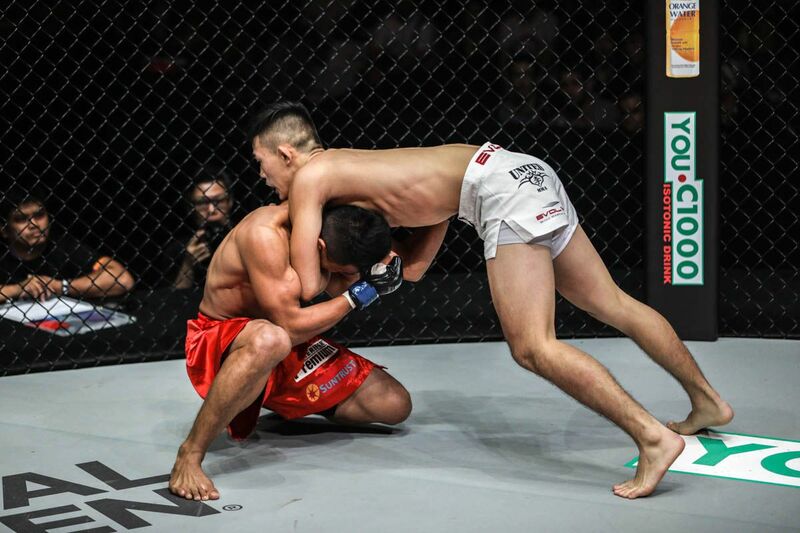 Now on a two-bout win streak, and with some new achievements in his back pocket, Lee is within striking distance of another showdown with ONE Featherweight World Champion Martin “The Situ-Asian” Nguyen. “Absolutely, I want that belt,” Lee shouted to the Jakarta faithful in attendance. 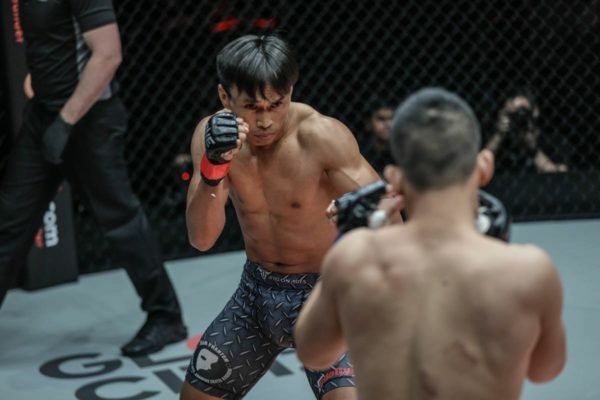 With an 11-3 slate and a 100 percent finishing rate, the Singaporean could find himself in a trilogy bout with Nguyen at some point in 2019.